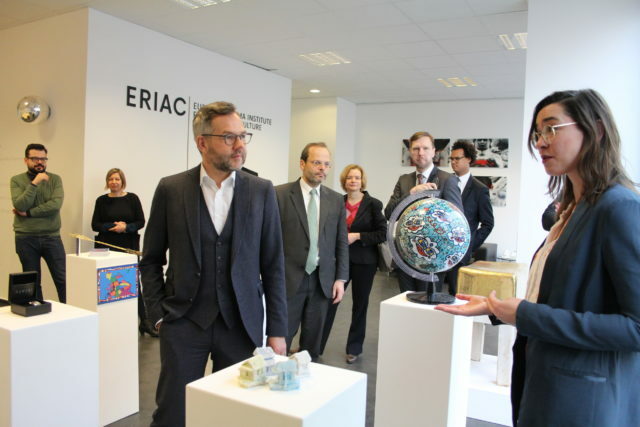 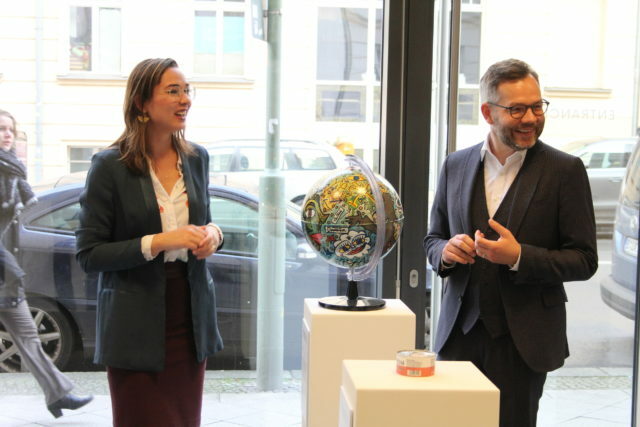 Today, the Minister of State for Europe Michael Roth, along with a delegation from the Federal Foreign Office, visited the brand-new ERIAC office in Berlin. 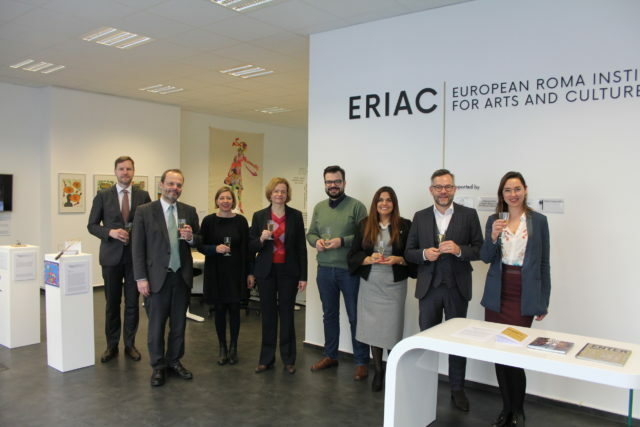 The guests were given a short guided tour of the office, including a guided tour to the current ERIAC exhibition “Transgressing the Past, Shaping the Future”. 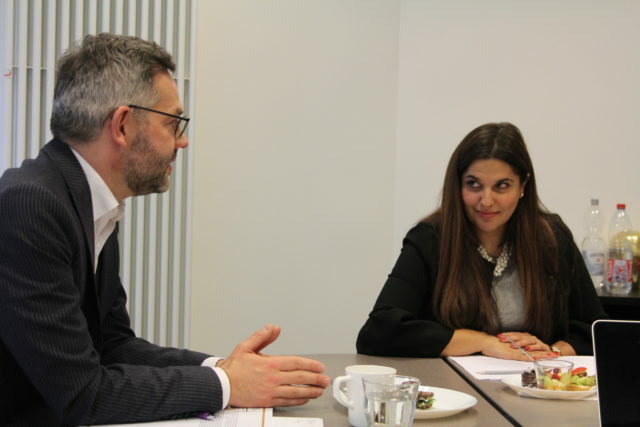 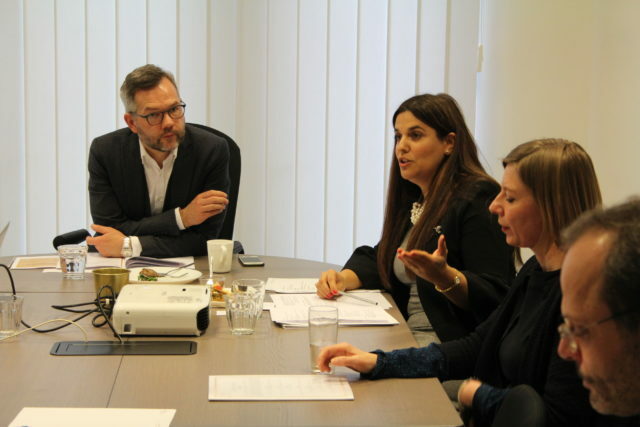 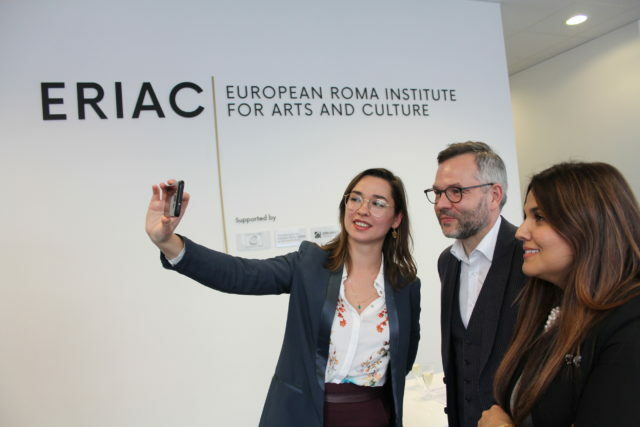 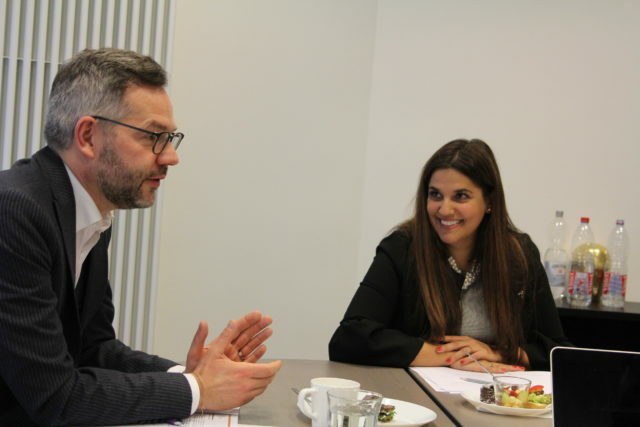 ERIAC’s staff introduced the upcoming events, organized in the framework of the International Cultural Outreach Program, and discussed the strategic plans for ERIAC’s near future. 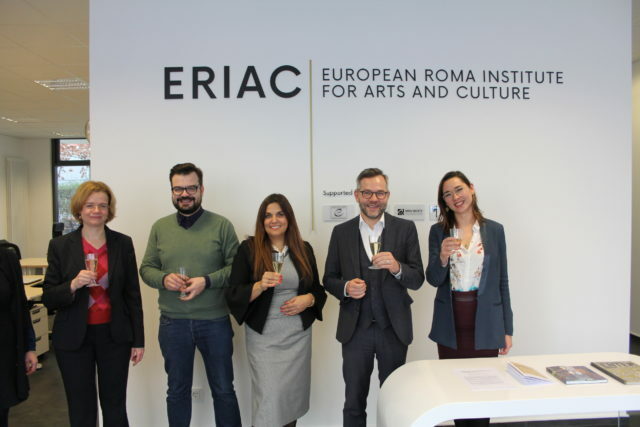 Minister of State for Europe Roth and the delegation representatives were given presents, including Roma artwork and publications about Roma art, as a token of appreciation of their continuous support for ERIAC.